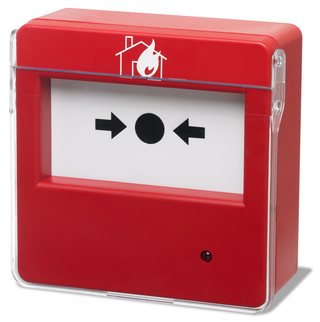 The MCP200CS is a resettable manual call point for conventional fire control panels. Easy to use and install, it complies with the EN 54-11standard. The MCP200CS has a large activation surface that gives a visual indication after use. Standby status is restored with a simple action using the provided key, while the transparent plastic cover provides an effective barrier to prevent accidental activation. An alarm status alert is completed by the illumination of the red LED indicator. Other features include, easy installation using push-fit terminals and the option of selecting the alarm current in order to isolate call point vs detector alarm alerts where possible on the same zone (only where the control panel design support this feature).